Airport taxi services, Weston Super Mare. No distance is too far for Airport Taxis Weston Super Mare. As a professional taxi service we provide quality transport for not only airport travel, but for all your important long distance travel needs in Britain. We provide you with a high standard of service by offering a modern and comfortable vehicle with a friendly and courteous driver. Local trips – Such as Bristol Airport, Bristol, Severn Bridge area, Bridgewater and Bath. Further afield – Such as Swindon and Heathrow. Long distance – Travel throughout Britain such as Dover, Stansted, Manchester and Scotland. 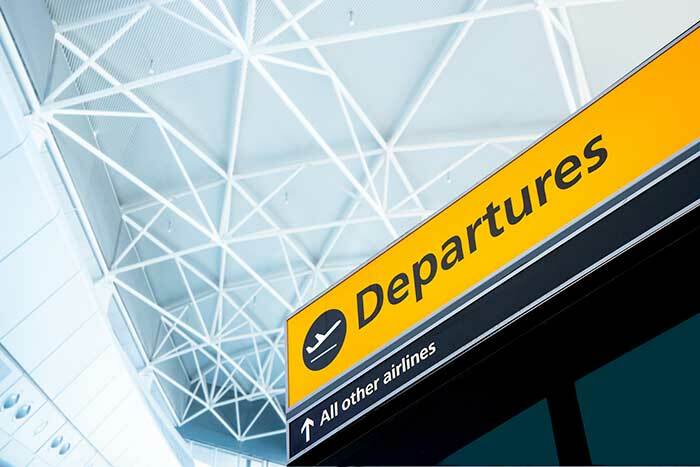 We are an advance booking taxi service, catering mainly but not exclusively, for your travel to and from airports and seaports anywhere in the UK. We are also pleased to look at any other of your other travel needs within the UK, and offer you the same great service. Further in advance you call the better chance we have of catering for your travel needs. As a small, independent taxi firm, we take great pride in offering a high level of personal service – the kind of service we would want ourselves. For example, return journeys from the airport can include a shop stop for basic supplies. All our bookings include a confirmation call from your driver 30 minutes before pick-up, to give you peace of mind before your journey. Airport transfers and other journeys are available 24 hours a day, seven days a week. Please call us to discuss your precise travel arrangements and we will ensure you get from A to B relaxed and on time. **We like to provide Meet and Greet service for all airports except Bristol Airport, where we rely on phone contact.